In my imagination, Viola Davis is my ‘auntie’, but my family are concealing this information from me. I am going to borrow a pearl of wisdom from her to briefly explain my take on a piece of not so breaking news that came out recently. While accepting her Emmy in 2015 for outstanding actress in a drama series for her portrayal as professor Annalise Keating on “How to Get Away with Murder, she said, “The only thing that separates women of colour from anyone else is opportunity. You can not win an Emmy for roles that are simply not there." I mention this in the week when Twitter is awash with claims of Beyonce refusing to work with Reebok because of their lack of diversity, and the CIPR State of the Profession is published — showing that our industry is becoming less diverse and failing to protect the mental health of its professionals. If diversity is being invited to the party and inclusion is being allowed to dance, then who is the DJ playing the music or the bouncer at the door enforcing the 'guest list' with the VIP’s who have the proverbial red carpet rolled out and the velvet rope raised for them. Some days I feel like this industry is one long evening of a silent disco. If you have never been to one, it is a fun but unusual experience. We are all wearing our various headphones each tuned to a different channel. On the dance floor we patiently wait for the DJ to work his magic, but sadly he may not switch on the music for everyone so they simply can’t dance. Because as my wise ‘aunt’ mentioned if the opportunities aren’t being offered then how do we ensure that we have true inclusion. If you don’t give me the chance to lead the teams, speak at conferences on communications and public relation principles, design campaigns and advance to positions that hold real power and influence then how do you expect me to win the awards or sing the melody of inclusiveness. Ella Minty shared, Fixing the Flawed Approach to Diversity by BCG, which unpicks the defects of diversity and inclusion initiatives. Nodding to advancement and retention as a gap for inclusivity of BAME talent gives what Viola mentioned weight. Hiring diverse talent to fill quotas and then failing to nurture talent to move further in their careers to reach their full potential is similar to an employer and our industry selling us the artistic impressions, but choosing not to build the house year after year but keep referring to the plans. So, I am at the party, and I am going to dance because the DJ is giving me a song to dance to and Polly Cziok has promised to bring the cocktails. A full list of different blogs and articles analysing the report can be found here. Now on to more joyous matters. This week I attended an evening with Bruce Daisley, EMEA Vice President of Twitter, author of best-selling book The Joy of Work and the host of the podcast Eat Sleep Work Repeat. I highly recommend the podcast for anyone interested in internal communications. Bruce explored many things that I will go into further in future posts as I study more and dive into the book. I am going to outline some of my key takeaways from the evening and what I am changing. We need to future proof ourselves by upskilling in the areas of inventiveness and creativity. The hustle culture as it’s popularly known which glorifies working dangerously long hours is contour productive to creativity. Positive Affect and Psychological Safety have the most significant impact on workplace culture. For an internal communications professional there is a danger of trying to implement quick fixes. At times organisations can create the ‘Smoothie delusion’ that tries to put everyone in a good mood, through improving the benefits that have a one time impact but they do little to transform the state of mind. Systems of fear kill our capacity to be creative. But even more, concerning is how fear and stress linger in the air like a bad hangover. Find an extract of the book on the podcast and I will share my thoughts soon. If you can’t wait listen to Sally’s take on the podcast #CU on the air. I like nice things. I adore my Frank and Green coffee cups, yes, I have more than one, I need choices as I do my bit to save the ocean. I love my Aldo boot collection because it’s the only shoe shop that seems to have stylish footwear that fit me and I cherish my Marks & Spencer granola slices. As much as these things make me sound like a snob, these small luxuries all fall neatly into a modest budget, that my salary bracket can accommodate. What does, however, make my eyes water is the cost of industry conferences. I am very passionate about professional learning and development. I think that communications and Public Relations pros should be given the opportunity to network, share ideas and develop authentic in-person relationships. Recently I wrote two blog posts, with the title ‘Broke Girls Guide to Professional Development in Communications’ and as I begin thinking about part 3, I am struggling to suggest conferences, because of their cost. There is an undercurrent of rumblings which is calling our industry to do better in many areas, but it is time our professional bodies and the influential voices began to holding organisers to account, on the cost, content and location of events. While I understand that on this subject I speak from a place of privilege because I now work for a company that has a rather forward-thinking view on learning and development. I believe that I would not have this job if I hadn’t been given professional development opportunities. That is why I care about how much things cost and content. Why throw the ladder down at those coming up behind you, when you have climbed to the next level, a nugget I got from Dr Rosena Allin-Khan at the Marie Claire’s Future Shapers event 2018. The glaring lack of young voice on conference line-ups is worrying. As we fix our crowns and halos with our International Women’s Day glow still fresh, can we address our industries failure to do anything that celebrated or acknowledged the outstanding young women in our space? While I respect the graft of those who have gone before me and sit at their feet, we need more peer to peer support and a space that encourages this. Apprentices, communications assistants and junior executives of all genders, races and backgrounds need to be able to see themselves and know it is possible. Are we an industry that celebrates them now, or only after 20 years in. An example of this is at last year’s Granicus Summit in London, the outstanding Connie Osborne presented Crisis Comms - Managing Manchester's Darkest Hour. It’s a testament to the leadership of Amanda Coleman, the Head of Corporate Communications at Manchester police who is one of the most respected people in public relations, and it is clear to see why she encourages younger people in her team to shine. Please note that when I say young, I don’t merely mean in age, I also refer to industry experience or role. I am only a year into specialising in internal communications, but I too have something to add to the discussion, an award shortlist in my first year. Which is why I am grateful for platforms such as the Institute of Internal Communication’s FutureNet initiative. Comms Unplugged is a pioneering event that is extremely well run and has all the elements of what makes a conference great. 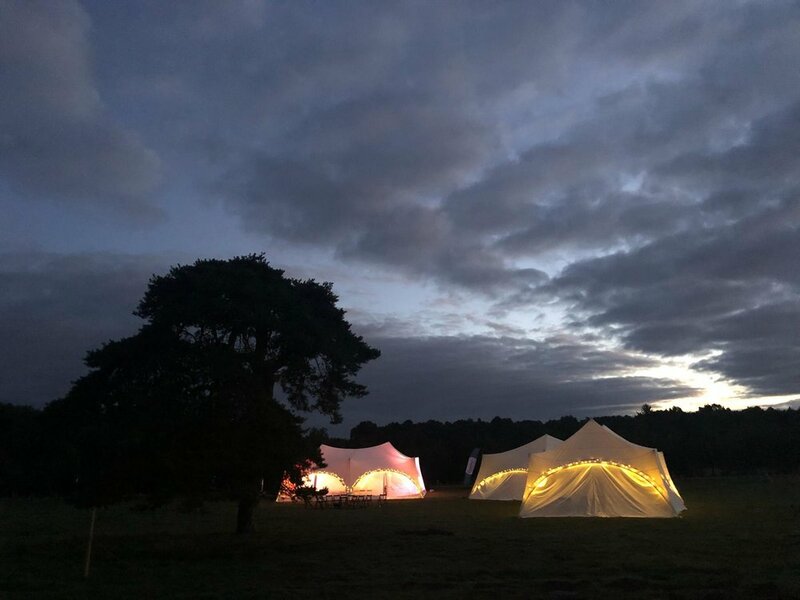 As someone shared in the Comms Unplugged what’s app group recently, “Give me a pizza and a night in a tent for a fraction of the price over a gala dinner and a night in the Hilton any day”. The popularity of the Comms Hive dinners being organised by Advitia, the Chair of CIPR Insider is evident that we need inclusive alternatives. It was cheaper for me last year to see Bruno Mars in VIP, Ed Sheeran at Wembley and Kevin Hart in San Francisco combined than one ticket to many industry events. It put the guilt I have about living my youth into perspective. In case you missed the news, on the other side of the aisle, our counterparts in the public sector are grappling with austerity. High conference fees are unjustifiable when it comes to balancing the budget at the end of the year. As one senior professional in communications shared, it would cost her almost £900 for a day conference and expenses. While many would willingly dip into their own pockets and are, for the benefit of their own careers. What example does this set for future generations, the best events are reserved for the high rollers? I applaud the LGComms Future Leaders Scheme and mentoring programmes such as BME Pros, but places are limited. We need sustainable solutions that can accommodate a wider audience and encompass pros at all levels. While I also argue that not everyone has their sights set on being a director of Communications or being a consultant, opportunities for growth and development should be accessible regardless of their career ambition for their current or future roles. Throughout my entire career, I have been lucky enough to find a way to network and interact with people who have influence and have the power to make a difference. From Terri White, Hugh Muir, Sam Baker, to the wonderful men and women I have informal mentoring relationships with today. But a lot of these relationships were formed because I was in the right place at the right time. A room I paid to be in, at times. We are an industry that is rewarded to craft narratives, but what story are we telling about ourselves when our flagship events fail to reflect the vibrant, inclusive industry we wish to see. I first heard Theodore Roosevelt's arena speech as it is referred to on Tim Ferris Podcast in his audacious interview with the scariest Navy seal imaginable, Jocko Willink. At the time and until now I always thought of it as something to read when someone who knows not of my struggles passes criticism without providing a tangible solution or adding value. I was reminded of the quote this week when I read Daring Greatly: How the Courage to Be Vulnerable Transforms the Way We Live, Love, Parent, and Lead by Brené Brown. Although it had on my reading list for a while, I think I was avoiding it because it unearths my complex personal struggle with vulnerability, shame and disengagement. But if I'm going to be a better communicator and leader, then I have to be able to work on the things that lead me to hide away from having difficult conversations and confronting ugly truths and deal with vulnerabilities self-imposed or others. So thanks Advita for reminding me of it. But thinking of the arena speech takes me back to all the conversations that can be summed up in our constant conflict as communicators, “Everyone thinks they can do comms.” Yes, everyone standing on the side-lines assumes that what we do is write a tweet or two, print a few posters and churn out the press releases. But I wonder whether they see the blood sweat and tears behind the scenes. So let's all give each other in the arena a pat on the back and embrace vulnerability. But let’s also make sure we aren’t a critic too judging ourselves harshly and holds on to toxic perfectionism. I went to FutureNet’s Trailblazer event to get some insights into the fantastic triple awarding winning employee engagement campaign, Trailblazers by Kerry Foods. Jacqueline Ryan, Internal Communications and Employee Engagement Advisor at Kerry Foods, and FutureNet committee member shared great insights and here are my five key takeaways. Employee engagement which is leader led has to be precisely that. People need to see and hear leadership at every stage in an authentic way. Be flexible and allow the campaign to flow. Sometimes the best-laid plans change, and that is fine. Let the stories shine through. User-generated content is the future as budgets gets tighter and communicating with hard to reach audiences becomes harder. Recognise people for their courage and desire to take part. These are the things that cost nothing but mean so much to people and should be at the heart of the business values. Who will be my Ellen? As I sip my Sunday coffee I ’m reflecting on something surreal that happened this week. I am a finalist for an industry award for the first time. Scary. A campaign I developed, ran and managed made the finalist list of the 2018 UK & European Employee Engagement Awards in the Internal Communications category. As someone who never wins anything, I didn’t know how to feel. When I was completing the submission, it took me a while to believe that my work was worthy of being entered. But thankfully the deadline coincided with Public Service Communications Academy 2018, so I was surrounded by my incredible network who gave me the extra push I needed and our Head of Communications was there every step of the way to help me. Whether we win the award or not in January, I have already won. I have turned a failure into a career-defining moment. In April I went through an interview process for an internal communications role at a housing association. Failing to get through to the next stage was hard, but I understood that I had to develop my understanding of communicating with internal audiences better and have real tangible examples of my work. Maybe it was fate but once I decided to learn, things started coming my way that allowed me to increase my knowledge of internal communications and employee engagement. I developed the ‘Be Epic’ campaign for our IT service delivery team which is the shortlisted project and support a number of our services internally with their messaging. I also met Rachel Miller Director of AllthingsIC, the industry guru who has since taught me some invaluable lessons. I have plugged in more with our corporate change manager who regularly shares her insights from a change management perspective, and we now work on more assignments together. What have I learnt over the last six months from this failure? Find or create my own opportunities to develop the skills that I need because nobody is going to do it for me. How to measure effectively and be dynamic. To have the courage to get out of my comfort zone. I may fail again, and that is okay. In fact it is what I need to grow. I have to trust my gut. How to design and execute an award-worthy internal communications campaign at zero cost that solves a business problem. How to prioritise as a business stakeholder. Develop a stronger network of professionals working across various discipline of communications and industries. Some of the great resources that have helped me develop my internal communications skills. Birmingham, was kind to me last week. After almost 10 years, I was back for the annual Public Sector Communications Academy. I felt a vibrancy that sucked me in. Although under construction, Brum has a charm that I still need to dance with so I’m elated that I am going back up in a few months for the Unawards. It was the last stop as conference season comes to an end. I’ve had an intense, but fruitful two months of learning, reflection and networking. It’s now back to business, although for me learning never stops. It would be foolish of me to ever think that I have arrived at the pinnacle of knowledge regardless of what expertise I gain in the future. Although I tend to blog about what has changed after a period of time, rather than my takeaways. There was something that has been intriguing me for a while and niggling, so when it came up again, I thought I should have a little stab at it. Execution. You must have noticed like me that we don’t get dressed up, smack a bit of lippy on and go to award ceremonies to honour ideas. But instead, we toast the result of those ideas being turned into living breathing campaigns, products or businesses. I have over the years met people who are great at developing thoughts, but fail at the only stage that counts. The implementation. There is a reason why execution is worshipped. Not least because it requires planning and work. It is the lights, camera, action moment where one performs to the crowd, screening their skills and if they are lucky to have it, talent. Failing to plan is planning to fail, is what we have all heard. Having been a journalist I know the power of ideas. I’ve spent countless hours in meetings mulling over editorial content and brainstorming, something I still do at a smaller scale. So I know the value of being an ideas machine. Being able to bring this into to corporate communications where I’ve found my stride has served me well. But I‘m obsessed with a comms plan and seeing tasks to the end objectively. My love affair with ideas will never end, it's just that I need to know what we are working towards and see it through. Whether that plan uses the OASIS model or a different structure. I need to understand what message I am communicating, my audience, my channels and ultimately the goal. I will, of course, need the tools to execute effectively. But ultimately having a cute idea floating around in my head or in an email is frustrating if I can’t do anything with it. I should add a disclaimer here that I rarely play it safe, but am somewhat of a rebel who pushes the bounds creatively within reason to achieve the results desired. Purchasing my Comms Unplugged tickets has been a journey. Even with a few weeks left to go, I am slightly unsure where exactly it is that I'm going. Somewhere in Dorset is what I say when I'm questioned. I think I have been a Diva delegate asking at every stage of the process. I love to network and have a very curious mind so going for a conference in and of itself is my idea of a wonderful weekend. I have no anxiety with the camping element of it either. Maybe my worries are more to do with the unpredictable British weather and getting lost because both are bound to be an issue for me. Now that the ticket is booked and I am getting excited by my out of office reply which may read " I am away at an industry conference and will respond to your email on my return when I'm refreshed and rejuvenated". The thought of unplugging is becoming quite appealing as the days draw closer because I've always enjoyed my periods offline, but to do it with other people will be interesting. Maybe it is the nostalgia of it all. The crucial component is the learning aspect of it all. I am open-minded to the new ideas, techniques and skills that I will come away with. Finally, I'm looking forward to getting those Hunters on and breathing in some fresh air, eating delicious food, star gazing, and trying yoga for the first time.